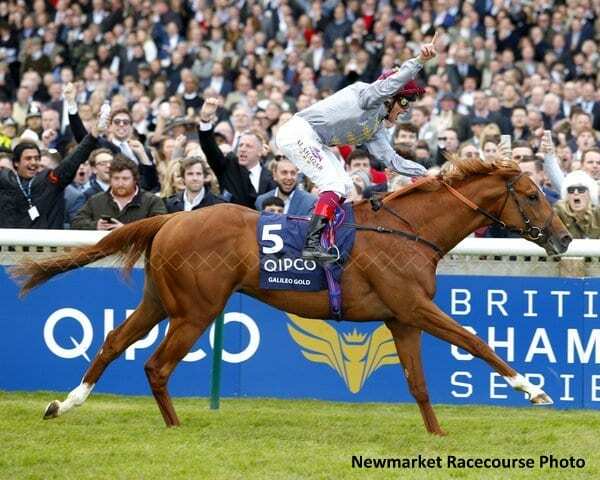 QIPCO 2000 Guineas winner Galileo Gold has been retired from racing due to an injury suffered in the Lockinge Stakes at Newbury earlier this month, according to skysports.com. The 4-year-old son of Paco Boy, out of a daughter of Galileo, was trained by Hugo Palmer over the course of his career, which included a second-place effort in the Irish 2000 Guineas and a win in the St. James's Palace Stakes at Royal Ascot. “It's a great shame, real sadness all round,” said Harry Herbert, racing manager for Galileo Gold's owner Al Shaqab. “It's a soft-tissue injury that meant we couldn't carry on with his career at this stage of the season. It's very sad. Overall, Galileo Gold won five of 12 starts to earn over $1.3 million. This entry was posted in Bloodstock and tagged 2000 Guineas, al shaqab, galileo, galileo gold, harry herbert, hugo palmer, Paco Boy, qipco 2000 guineas, Royal Ascot, St. James's Palace Stakes by Paulick Report Staff. Bookmark the permalink.